It’s Wednesday already! 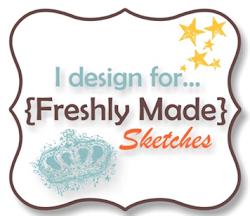 We have a new sketch for you to play along with at Freshly Made Sketches. This weeks sketch has been designed by Jennifer Brum. It’s so cool and I have to say I had a lot of fun creating my card. I laughed when I saw this sketch and the tons of circles on it – I even had to check it twice that it was Jen’s sketch as she has a fear of circles on sketches – I am pretty sure she has overcome her fear with this fabulous sketch! To match the circles on the sketch, I used the bokeh effect stamp from Beauty Abounds. I stamped the circles in Lemon Lime Twist Ink. The Lemon Lime Twist diecut leaves I’ve used are cut with my Wonderful Romance Framelits Dies. 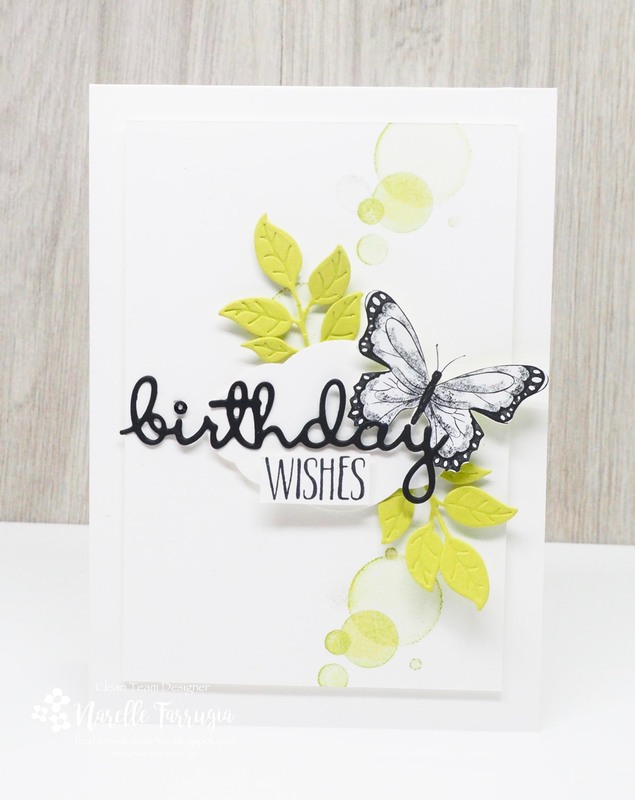 I had previously fussy cut the butterfly I’ve used on this card and had it leftover from another project. So apart from the Birthday sentiment, this card is pretty simple without my usual layers. The diecut sentiment is a new-to-me die set. It’s called Well Written Framelits Dies. 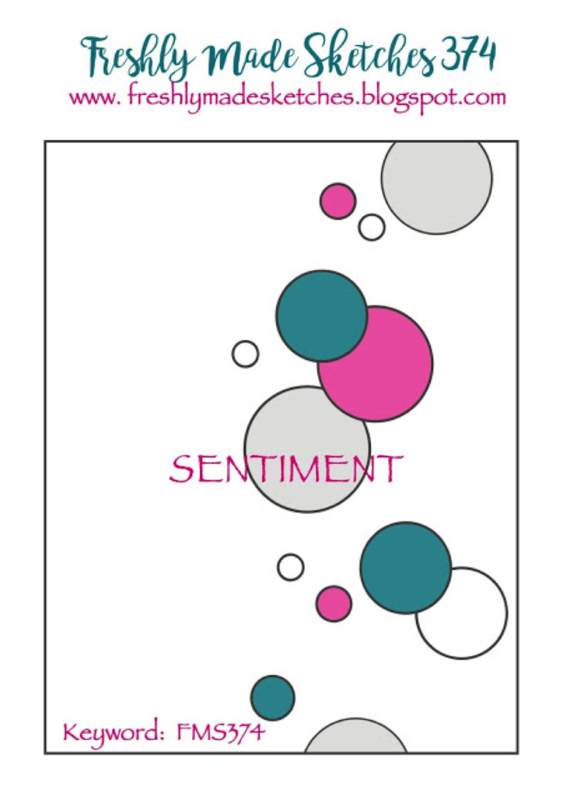 This set has sooooo many wonderful and useful sentiments that will feature on many of my cards. Head over to Freshly Made Sketches and take a look at the amazing cards the team have created with this sketch. Thanks thanks for stopping by.